Anyone who has ever broken a bone knows the discomfort and annoyance of having to wear a cast. It's certainly not a fun time. Recognizing the need to help cheer up children and infants coping with broken feet and having to wear one, physical therapist Amanda Hall makes it a point to go out of her way to create and decorate special casts. 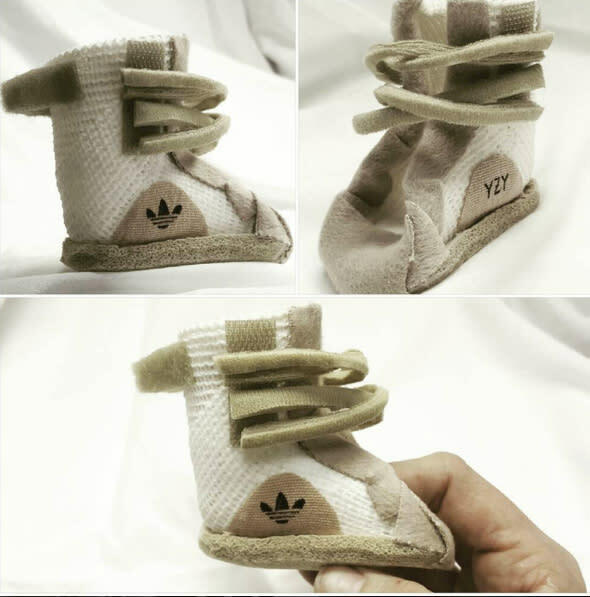 For the Yeezys, the cast is designed to be infant AFOs (ankle foot orthoses) and made with Delta-Cast Conformable casting tape complete adidas and YZY branding. While the 750s might have been the better option considering the shoe's height, you can't really hate on Hall's efforts. After all, she's just trying to help kids feel better and help them make the most of a crappy situation.